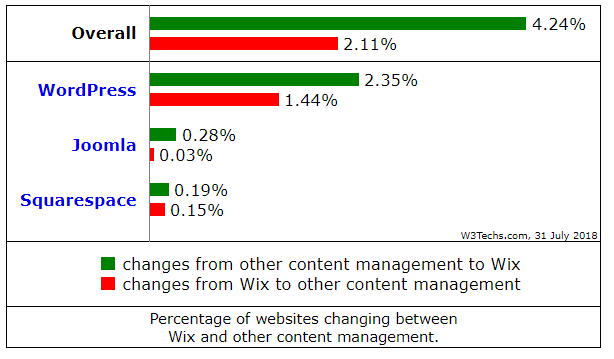 The Battle of the Blogging Platforms – Can Wix hold a candle to WordPress? The terms ‘blog’ and ‘website’ are sometimes used interchangeably on the internet today. Therefore, let’s take a look at what really distinguishes a ‘blog’. What makes a blog? Web pages with a series of posts in chronological order that allow comments from readers. In other words, content that will be regularly churned out takes centre-stage. Setting up a blog is not difficult. While there are several blogging platforms such as WordPress, Blogger, Medium, Wix, Weebly and many more, each has its pros and cons and to stand out in the crowded blogging world, you will need to pick the right platform. We’ve picked two popular and quite dissimilar platforms to analyse and thus, look at the difference between Wix and WordPress. Wix or WordPress? They couldn’t be more different as blogging platforms. While WordPress does dominate the internet, we look at what parameters you need to look at to pick between the two. Founded in 2006, Wix is a website builder that uses drag-and-drop technology to make it easy for anyone to build a website with no knowledge of code required. While there are several other similar technologies available, Wix is known to stand out for its intuitive and polished user-interface. Wix claims to have 110 million users as of 2017. What does Wix have that WordPress doesn’t? What would make someone switch to a less-popular platform? With its drag-and-drop functionality and as a WYSIWYG editor, Wix wins the usability war against WordPress. Another feature missing in WordPress is Wix’s Advanced Design Intelligence builder. 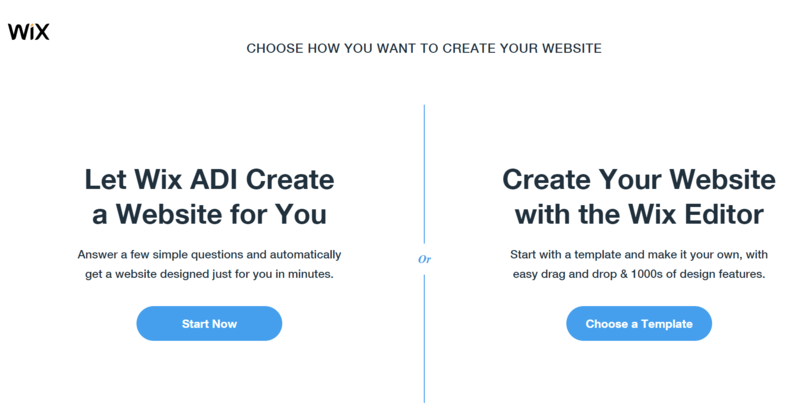 The Wix ADI builds a blog or website for you in just a few clicks by asking you to answer a few questions about your website. This makes Wix a real boon for those who aren’t very creative. The finished dance instructor blog with placeholder content from Wix. 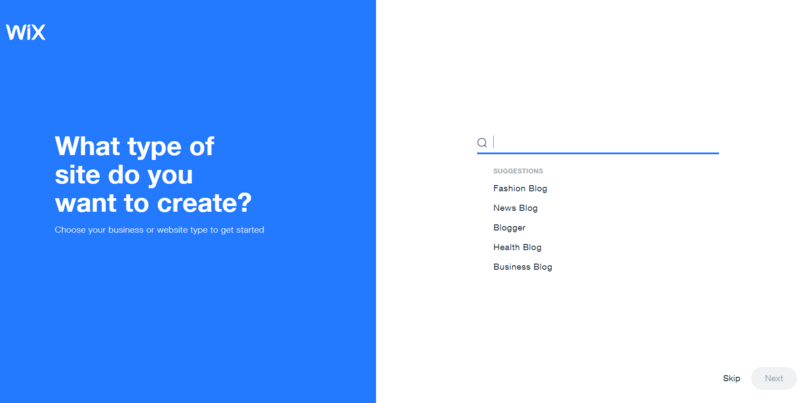 You can now use the tools around you to customize your ready-made blog. 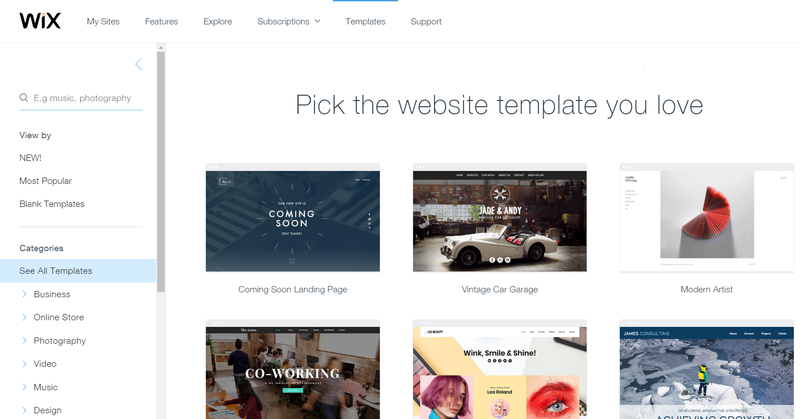 If you’re not keen to use the editor, you can use a Wix template to build your website. 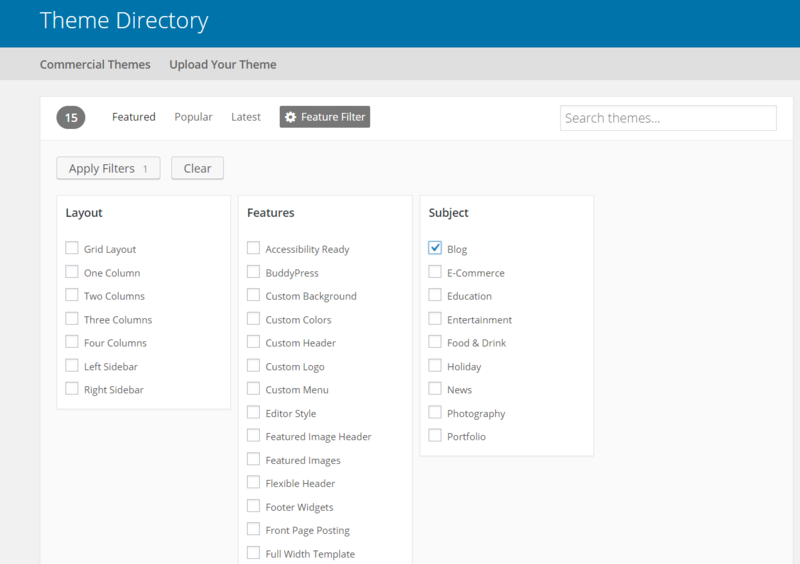 Another advantage Wix has over WordPress is how they categorize their themes. They guide you through various options in as many headings as possible to inspire you by a theme that will best suit your domain. WordPress, on the other hand, doesn’t quite do this for you. You will need to scroll through all the templates tagged as ‘blog’ to find one that will best suit your idea. 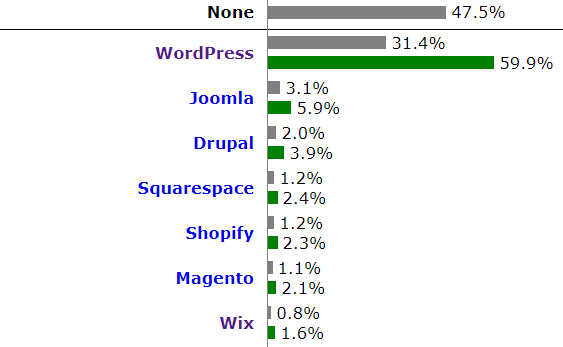 This is not to say that WordPress is difficult to use. The platform is designed to suit a blogging flow- write, upload and post. Plus, it has tons of ready-made themes and plugins (many more than Wix does) to help you easily add any design or functionality to your website. 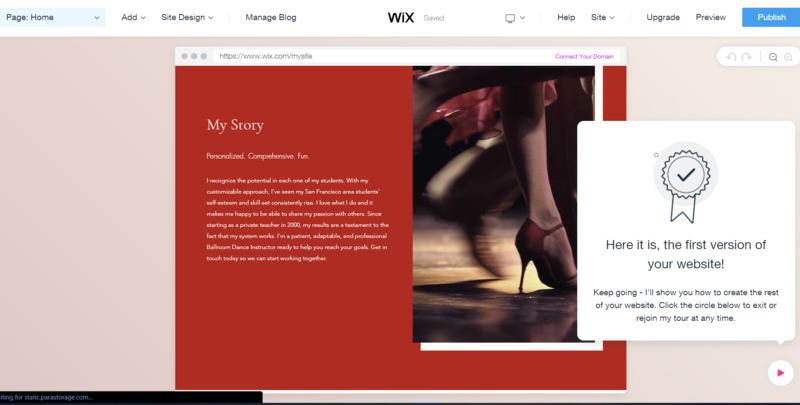 Wix really just makes the experience of setting up your blog quite effortless. Wix lets you get online free with 500 MB storage, 1GB bandwidth, free hosting with a free wix domain and wix brand ads. However, if you want to get serious with blogging, you will need to upgrade to their premium plans ranging from $1-$5. Hosting is included in the price on Wix as all blogs are hosted on Wix’s cloud servers. However, you will need to purchase the $3 plan at least to have an ad-free blog. For WordPress, of course, the script is downloadable for free. However, WordPress Hosting can cost from $2-$50 a month or more. However, bloggers need not worry about having to pay too much for either. Once you attract enough traffic and income, you can consider moving to a higher plan with more storage and bandwidth. A common mistake most bloggers who use third-party platforms make is to not read the platform’s Terms of Service. A blog hosted on any third-party platform is subject to their control. The platforms have the right to shut down your blog at any time if it happens to violate any Terms of Service. “Wix reserves the right to change, suspend or terminate any of the Wix Services (or any features thereof, or prices applicable thereto), and/or cancel your access to any of the Wix Services (including removal of any materials created by you in connection with the Wix Services) for any reason and/or change any of the Wix Terms with or without prior notice – at any time and in any manner. With WordPress being a self-hosted service, you are in complete control of your content. Content ownership is also a factor in SEO. Unfortunately, no blogging platform can be considered without considering how conducive it is to optimization for search engines. While Wix touts the SEO capabilities of its platform, you can do much more with a blog that is under your complete control -such as one built with WordPress. Once you install the WordPress script, the website and its content is yours to control. So would we choose Wix or WordPress? In conclusion, we’d say the process of setting up your blog shouldn’t matter as much as how well you are allowed to manage the property and make it rise to the top. With that, we’d pick WordPress over Wix with regards to ownership. We hope you found this blog on the difference between Wix and WordPress for blogging insightful enough to make a great choice. If you’d like tips on how to start making money with your blog, check out our two-part series on ‘How to start a blog and make money’.